These Red pre-printed lanyards with ‘Visitor’ printed on them are a simple and yet incredibly effective way to make sure your visitors don’t go unnoticed. 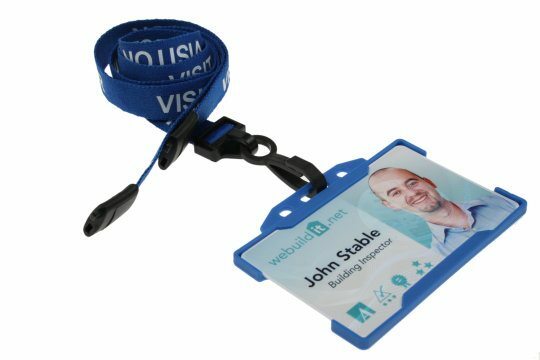 Make sure your visitors are distinguishable with our simple and robust printed visitor lanyards. Produced in a bold Blue, they are of the highest quality and eye-catching to boot – suitable for use in any business sector. 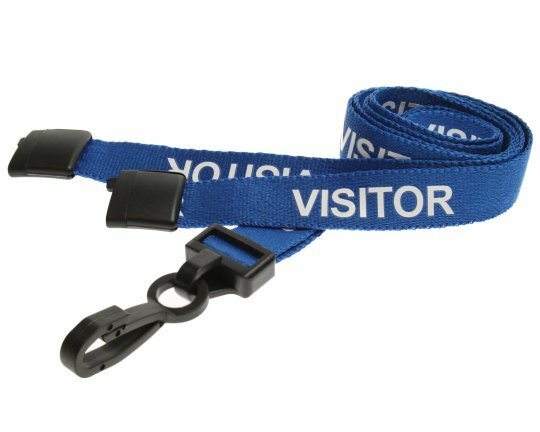 These visitor lanyards are ideal for ensuring that your visitors ID’s are clearly detectable and legible at all times. A plastic J Clip makes them simple to attach to all types of cardholders, from open-faced to vinyl. 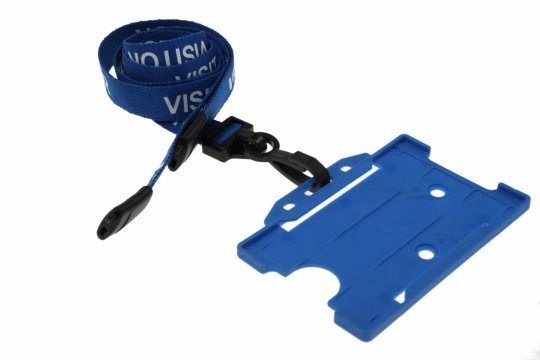 Perhaps most importantly, they have a breakaway clap, this ensures that if the lanyard becomes caught or tangled up then the lanyard will easily pull away from the neck and prevent any form of injury — safety first.